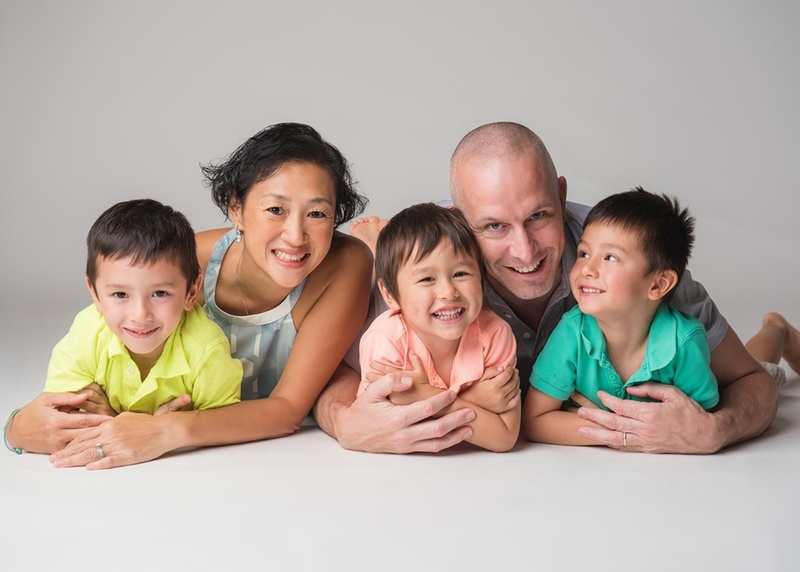 This week, Our Parenting World team is pleased to feature and interview Theresa Evanoff, Founder & CEO of Gift-It-Forward, a Singapore-based social enterprise that helps people celebrating special occasions to raise money for a charity of their choice and a group gift they hope to receive. 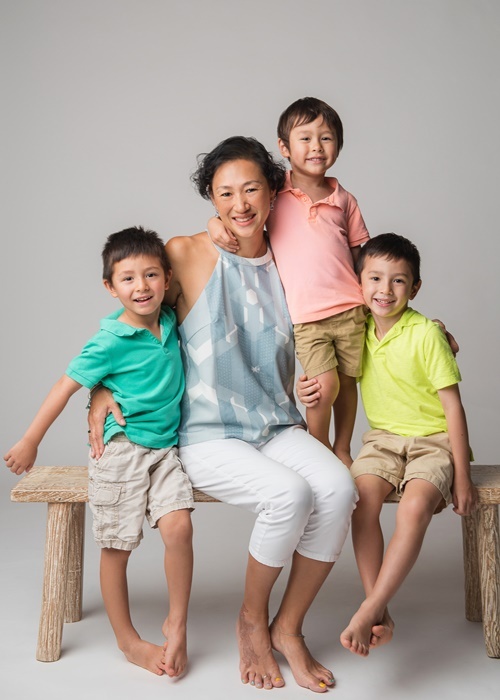 Read on to find out how Theresa Evanoff (TE), this amazing mumpreneur managed to launch a successful social impact start-up, having to juggle a busy work schedule and take care of a household of 3 boys, this lovely mother in turn hopes to inspire and encourage other mothers by sharing her experiences. 1) Please share with us more about your background, your family and career? TE: I was born in Hong Kong, and immigrated to Canada with my parents when I was just 1 years old. In Canada, I grew up in a househould where my parents constantly demonstrated generosity, kindness and compassion, in and outside the home. They instilled in my brother and I a strong work ethic and the responsibility to give back to the community. Looking back, I am pretty sure that their influence has shaped who I am today, and also one of the reasons why I became a social entrepreneur. After an early career in engineering, I moved to France to complete my MBA in Paris. For my final term, I decided to do an exchange program in Singapore at NUS – and have been in Singapore ever since! I launched my career in Asia with Deloitte Consulting and subsequently took on the role of Regional Strategy Director for Motorola Mobility. I met my husband in Canada on a holiday while I was living in Singapore, and after a year of a super long distance relationship, he fortunately agreed to move here and the rest is history! We now have three boys who are 3, 4, and 6 years old, so the house is always lively! After leaving Motorola for a career break to start a family, I wanted a role that would leverage my skills and experiences, give back to the community, and also provide flexibility to spend time with my family; so I started my own company, Gift-It-Forward and love being my own boss. 2) What inspired you to set up Gift-It-Forward? TE: Having lived in Singapore for so long, I realized that we live in a very privileged and consumer-driven society. This became even more obvious when I had kids. As a mother of three young kids, we attended A LOT of birthday parties, and I saw firsthand how wasteful and privileged gifting could be. The inspiration came from a real-life desire to teach my kids that giving is just as important as receiving, and to help them realize what it truly means to share with others. So, I created Gift-It-Forward – an online platform that connects people to charities through celebrations. In a fun and simple way, people can “share” their gift contributions with a charity that they choose. Instead of people bringing numerous, potentially less meaningful gifts, to a party, users can raise funds for a cause they care about, as well as a group gift they will love. We have had several kids raise over $1000 for their birthdays, of which half would go to a really cool gift (like a drum set, an x-box or Legoland passes) and the other half would be shared with their charity. Everyone wins! While we originated the idea because of parents and children, we are now expanding our target market to include youths and adults who can also use our platform to give back to the community and also get the gifts that they’ll love. 3) How does Gift-It-Forward make a difference in the community? TE: Firstly, Gift-It-Forward helps people raise funds for a charity they care about (alongside a gift you’d like to receive) while they are celebrating special occasions. As this money would otherwise have been spent on numerous, less meaningful gifts, we are providing the charities access to new funds and donors. We are partnered with 18 different charities who support a wide range of social causes (www.gift-it-forward.com/charities). Most of these charities have limited fundraising and marketing budgets so we help them in both areas. In addition, Gift-It-Forward believes people want to do good but need an easy way to do it. As a parent, I want to teach kids that there is more to celebrations than gifts. Gift-It-Forward allows anyone to be a philanthropist, either as the host of a party, or as a guest. One of our fundamental beliefs is that by teaching children about giving and charity at a young age, we can help them develop into lifelong givers who can then make an impact to the community in their own time. We are building the foundation for the next generation of social entrepreneurs, philanthropists, and community builders. 4) What are some of the challenges that you faced in running your own company? TE: I think initially my main challenge was coming up to speed quickly on all aspects of the business, and now, it is trying to juggle and prioritize everything that needs to be done. Although I have a technical background, I have never built a website before, so learning about the entire process and qualifying vendors was an eye-opening experience. I love change and learning, so I enjoyed that part greatly. Now that the business is up and running, I am trying to grow and scale it, and need to make calls on where to best spend time and money. Being a sole founder also has its challenges, but fortunately I have many mentors and experts who help provide guidance when I need it. In spite of these challenges, I know I am creating something that will be valuable not only to my kids, but to other families, individuals, as well as charities. Managing a business is never easy, but knowing that this is meaningful in so many ways makes it that much more rewarding for me. What keeps me going is the notion that I can be a role model for my 3 boys and dream that they will one day follow in my footsteps of giving back to the community. 5) Can you share with us how’s your career’s path like pre-and post-kids? TE: I started my career in Canada as an engineer, then did my MBA in Paris, France. After the MBA, I switched careers into Management Consulting based out of Singapore and covering South-East Asia, where I was exposed to a number of different industries, companies, and countries in a short amount of time. I then took on in-house Strategy role for Motorola Mobility, where I was managing a large team and geography. I loved my jobs, but after having children, I wanted to dedicate some time to them especially at a young age, and decided to take a career break. As they got a little older and were in school, I wanted a role that would give me a flexibility to be with my family, but also leverage the skills and experience I earned over my corporate career. So, I started Gift-It-Forward, which allows me greater control of my time, yet allows me to do something meaningful for both the community and for myself. 6) What’s your advice to someone who aspires to be an entrepreneur like yourself? TE: It is a big transition going from multinational corporations, like the ones I worked for, to a start-up environment. At first, you need to be the master of all and juggle everything on tight budgets. The journey can be long and tiring, so make sure you are doing something you are passionate about and doesn’t feel like “work”. Ensure that you have the support of your family, as having your own business often means taking time (and sometimes resources) away from them too. If you the risk excites you, then do it as soon as you feel ready! If you need a little more stability, then try to juggle the “day job” while starting up your own business, as there will certainly be some risks involved – but that is also part of the fun! There is never a perfect time, so just go with your gut and at some point, take a leap of faith! 7) What are some of the hurdles that an aspiring business owner might face and may not be aware of? TE: Coming up with an idea and a vision is one thing, but getting all the legalities completed is another. It’s important to get the business registration done correctly, including the type of business you will register (i.e. private limited or partnership, etc. ), and if you are running a website or another type of business where you are holding customers’ details, make sure you are covering the necessary under the Personal Data Protection Act (PDPA). These are small details that you might not consider at first, but they will make a big difference later on. 8) Understand that you are a mother of three lovely boys, how did you manage to juggle both work and family life? TE: I will be the first to admit that this is a constant juggling act, and sometimes I feel like I’m dropping all the balls! Nevertheless, I thrive on busy schedules so I find ways to make it work. I work on the business during the daytime when the kids are at school, and at night when they are sleeping. When they are home from school and on weekends, I focus my time and energy on them. Still, it’s an intense game of balance, where I’m wearing a CEO’s hat by day and supermom cape by night! 9) How parents can empower kids to make a difference? TE: First, I think that parents need to be the role model and speak the language at home. In every day context, show children what “kindness” and “generosity” means, whether it’s smiling at a stranger, or dropping loose change in a donation box. It’s absolutely true that charity begins at home. The next thing is to involve them and celebrate what they are doing. Let them choose a cause they care about to be the next activity you do or read about together. Show them that it’s easy and how good it feels to help others. At Gift-It-Forward, we believe that children should feel great about sharing and that they shouldn’t lose out – by promoting these values, we hope to inspire them to become productive and kind members of society who will make a difference when their turn comes. 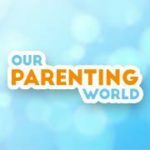 10) What are some of the best parenting advices that you have received? TE: “This too shall pass!” and “The days are long but the years are short”. To me, they both speak the same thing: that despite those days where the challenges are overwhelming, cherish every moment as kids really do grow up too quickly. The sleepless nights, the constant fighting, the unnerving tantrums – they too will pass. At least I’m told! 11) What are your hopes for your children? TE: I hope that they will grow up happy, loved and successful at whatever they choose to be, but also be kind and compassionate individuals deserving of that happiness and love. .
12) Being a busy mother, a career woman and a wife, how did you manage to keep the sparkle in your marriage? TE: Ha! Sparkle? We definitely to work on that! While we do realize the importance of nourishing a strong marriage, we are often so exhausted from work, travel, and the kids that we neglect ourselves. We do try to get out at least once a week without the kids for dinner, but sometimes even that’s hard. Often, we just end cuddling on the couch tuned in to our favourite Netflix shows, which is comfort for both of us. Still, now that the kids are a little bit older and more manageable, I’m hoping a staycation is in the cards for us this year! 13) What are some of the favourite things that you and your husband like to do together as a couple? TE: We love food and travel. While “couple” travel has been put on hold for a while as we don’t have family in Singapore to look after the kids while we are away, we were lucky to have travelled a lot before kids. Now, we are grateful for a nice trip to a good restaurant – ha ha! 14) On a personal note, what are some of your favourite beauty tips that you would like to share with busy mothers on looking good? TE: Use a cleanser morning and night to keep your skin fresh. I personally don’t use make-up on a daily basis as I find it slides off your skin in Singapore! I am happy with a my touch of eyeliner to freshen up a bit, and oh, false lashes are great for moms on the go who want to look like they wake up ready for the world! 15) Lastly, do you have anything else that you would like to share with our readers about Gift-It-Forward? Any vision and future plans for Gift-It-Forward? TE: The next stage of Gift-It-Forward is to grow and scale and to make it a household name for any sort of celebration. While we initially focused on kids’ birthdays, we want users to adopt it for other occasions too, be it a milestone birthday, a baby shower, or even a memorial. We dream that people will incorporate charity into their special events, and help others in need instead of receiving things they don’t need. We hope to grow in the Singapore market and then expand in the region and beyond. We are seeking investors now who care about our social mission as much as our commercial aspects, and help us take the business to the next level! Thank you Theresa Evanoff for taking our interview!